On the 9th October 1967, the already-wounded Ernesto 'Che' Guevara was shot dead by a member of an elite Bolivian army unit in the remote village of La Higuera, bringing to an end the story of one of the world's most famous revolutionaries. After leading the Cuban Revolution alongside Fidel Castro, at first Che Guevara played a prominent role in post-revolutionary Cuban politics, but as time went on he and Castro drifted apart politically and Guevara ultimately left Cuba in early 1965 try and apply the guerilla warfare techniques he had perfected there elsewhere around the world. Che's fake ID to enter Bolivia: pretty convincing! Guevara initially tried to work with Laurent-Desire Kabila's rebels in the Congo, but by the end of 1965 these efforts had petered out and he cast around for alternatives. 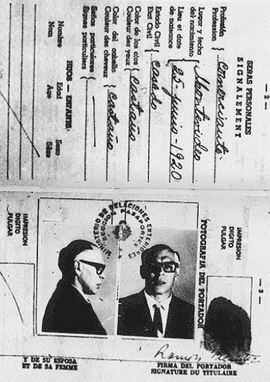 Eventually, on the 3rd November 1966 Che arrived in the Bolivian capital, La Paz, disguised as a Uruguayan businessman, Adolfo Mena Gonzalez. From La Paz, he headed to the jungles of south-eastern Bolivia, which he saw as far from government control and ripe for revolution. He based his camp in the remote Ñancahuazu valley with an initial group of just over 50 fighters, including 29 Bolivians and 25 Cubans. Initially, things went well for the fledgling Ñancahuazu Guerillas, successfully attacking several Bolivian army patrols, but gradually a combination of the oppressive jungle conditions, resupply failures, and the arrival of CIA-trained Bolivian Special Forces units, began to tell. 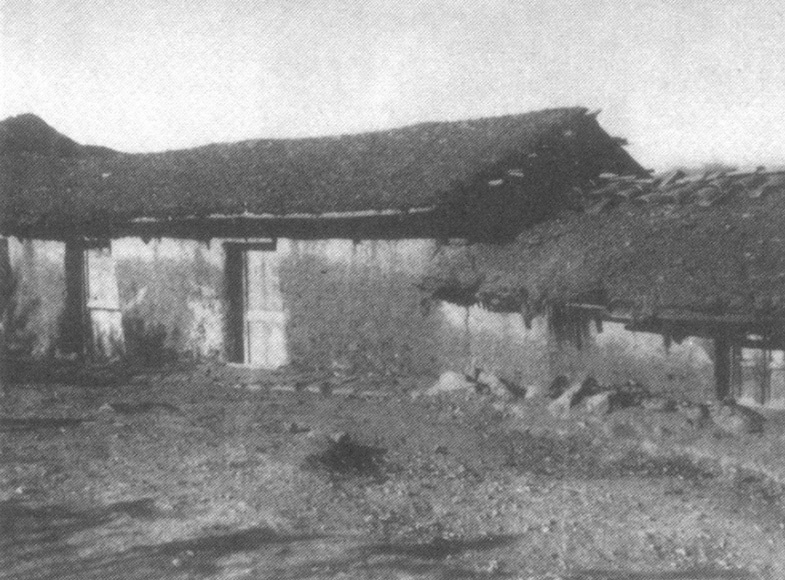 Che's research had also let him down: the group had studied the Quechua indigenous language, not realising that in this part of Bolivia, the villagers spoke a form of Tupi-Guarani instead. Possibly for this reason, the group did not manage to build links with the local villagers. Guevara wrote in his diary that: "Talking to these peasants is like talking to statues. They do not give us any help. Worse still, many of them are turning into informants." To commemorate the 50th anniversary of Che's death in Bolivia, we have planned an exclusive Che Guevara tour itinerary which will take you to all the major sites associated with Che. Beginning in the city of Santa Cruz, we'll take you out to the remote jungle valleys where Che lived, fought and died during his ill-fated attempt to start a revolution in Bolivia. The whole tour will be with a private guide and driver, and includes all accommodation and meals, so you don't have to worry about a thing and can take your time exploring this fascinating period in Bolivian history. Day One: Arrival in Santa Cruz, and time to explore the city. Day Two: Visit to Samaipata, where Che fought his most successful battle in Bolivia. Continue on to Vallegrande, where we will visit the Che Museum and the hospital where his body was taken from La Higuera, before visiting his memorial and first burial site. Day Three: Drive to the Quebrada del Yuro, where Che was captured, and then on to La Higuera, where Che was held captive before being executed. Day Four: Drive back to Santa Cruz. Che's fears were well-founded. By late 1967 not only had the regular Bolivian troops in the area been reinforced by CIA-trained special forces, but local informants had passed on the location of their new camp in the Quebrada del Yuro. On the morning of October 8th 1967, the Bolivian forces encircled the area and advanced. Che was wounded and his Garant rifle put out of action by being itself hit by gunfire. He called out his name and that he surrendered, and was bound and taken under guard to a schoolhouse in the nearby village of La Higuera. Che refused to speak to any of the officers who tried to question him, and would only speak to the ordinary soldiers, although he told them nothing of value. The next morning, he asked to speak to the village schoolteacher, a lady named Julia Cortez. She later described him as being in terrible condition, but with a gaze which was "unbearable, piercing and so tranquil". During the course of their brief conversation, he told her that it was unfair that children should have to learn in the basic, run-down schoolhouse when government ministers drove around in expensive cars. Meanwhile, the debate about what to do with Che was intensifying. The Americans wanted him to be flown to Panama so they could interrogate him there, but the Bolivian Army and politicians were panicking that he might escape. Later that morning they made the decision to execute him, although they planned to tell the world that he had died of his injuries. For that reason, the soldier who volunteered to execute Che was told to shoot him several times so that it looked like he had been killed in the initial firefight. There are several different versions of the last moments of Che's life, with some saying his last words were "Shoot, coward - you are only going to kill a man." although other eyewitness testimony omits this epitaph. Che was pronounced dead at 1:10pm local time, and was flown by helicopter to the hospital in nearby Vallegrande. The Bolivian government was paranoid that people wouldn't believe this was the real Che, so his corpse was shown to international journalists, and his hands amputated so they could be sent to Argentina for fingreprint identification. His body was later buried in an unmarked grave in Vallegrande, although in 1995 a team of Cuban and Argentine scientists found the grave and Che's remains were sent to Cuba to be interred in the Santa Clara mausoleum.